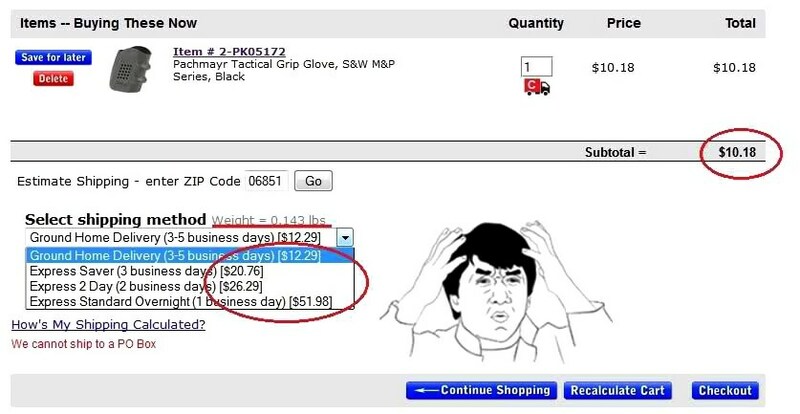 Cheaper than Dirt has, for no particular stated reason, halted online sales of guns. The company will maintain its brick and mortar retail presence in McKinney, Texas, but yesterday posted these messages on their Facebook page. Which then got about 12,000 angry comments telling them what they can put where and how far up it should go, and so on. So they regrouped, revising their statement to say this. “Cheaper Than Dirt! has temporarily suspended online sales of firearms. Their website reflects these statements, too. It’s not like they can say their Facebook page got hacked. So after another 5,000-plus text-based middle fingers, it’s safe to say that Cheaper than Dirt’s unexpected announcements will lead to some loss of business. Cheaper than Dirt has always had OK prices, perhaps not the lowest but also not the highest, sometimes stiff shipping rates, but their expansive inventory, up-to-date website, and even online content through their blog and forum have made them a significant presence in the gun community. Because their announcement so closely follows the Sandy Hooke Elementary shooting, many people have jumped to the conclusion that it’s massacre-related, following the pattern set by several companies who have altered their businesses since the shooting. But this isn’t quite the same as temporarily pulling a handful of products that are currently at the center of a controversial, what’s the word, shitstorm, this is Cheaper than Dirt potentially cutting off a major source of revenue, not just by refusing to sell guns online, but with the ensuing loss of customers, people who have pledged never to do business with Cheaper than Dirt again, not even for the stuff they’ll continue to sell online. People are still asking themselves why. Again, this is considerable income, so why pull out? Some people are saying that Cheaper than Dirt may be somehow involved with the Sandy Hook shooting spree, that maybe they sold guns or accessories to Nancy Lanza, owner of the (legally-purchased) firearms used in the shooting, and first victim of the spree. It’s a compelling theory, but still just a theory. Even if they go back to their former policy, their recent practice of exorbitant prices on magazines has seriously tarnished their reputation. So not only are they fair-weather supporters of the Second Amendment, they’re over-charging people and taking advantage of politics, using fear to drive business. That’s notoriety that will not wash away easily. They’ve added insult to injury and are likely to suffer for it. There will always be other online stores to step in and do that business for them. Magpul has even come forward and condemned Cheaper than Dirt for selling their magazines at prices that could damage the value of their product. We understand that people want magazines and guns and ammo and everything else. That there is a large call to attack guns and the civil rights of millions. It’s natural to act on instinct and snap up guns and accessories at the first opportunity. But panic buying, just as price-gouging, hurts gun owners. It drives up prices where they will stay high for longer, something that we saw in 2008 after the previous presidential election. Gouging prices isn’t the only thing to hurt gun ownership right now, that’s just one side of the coin. The other is panic buying. 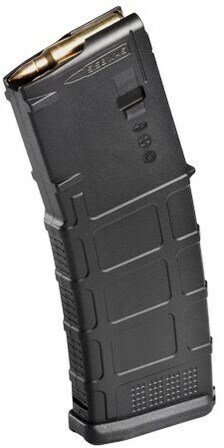 Time is of the essence, and we’re not saying don’t get some Pmags, yes, buy some Pmags, the Gen M3 ones are super-sweet. Just consider donating a magazine or two’s worth of cash to gun rights organizations. Not only does this allay panic, it will help prevent the need for future panic. If even a fraction of gun owners donate, we’re talking about tens and hundreds of millions of dollars. The next time you find yourself shopping online, ask yourself if you need two more magazines, or if you can put it off for a little while and send that money to the NRA, the NRA-ILA, the Second Amendment Foundation, or the Heller Foundation. You have choices. You can stockpile, and you can fight. They’re not mutually exclusive. UPDATE: As of 12-noon Wednesday Dec. 19, Cheaper than Dirt announced they will resume online sales of firearms once they update and improve their process.